On the OEM 10 Series / Monogram headlights come from the Factory with DRL LED accents. 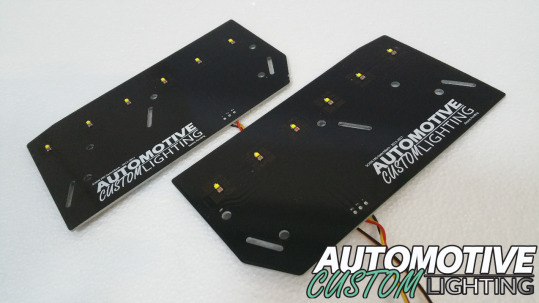 With the use of the Automotive Custom Lighting boards you can enhance safety and style with these unique drop in boards. 2013-2016 Toyota GT86 JDM Headlights. These boards do require the headlights to be opened up, installed, and resealled. Need help opening up your lights? If you are not up to doing it yourself then contact one of our authorized installers in your area today. Check out one of our professional installers near you! Click Here! and agree to these terms.